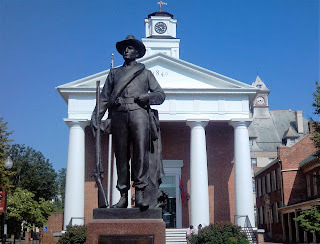 If you're interested in a change of scenery, Winchester, Virginia is an interesting place to poke around. From my home base in Pennsylvania, it's less than a two-hour drive, so it's a convenient destination for a weekend getaway just to explore. 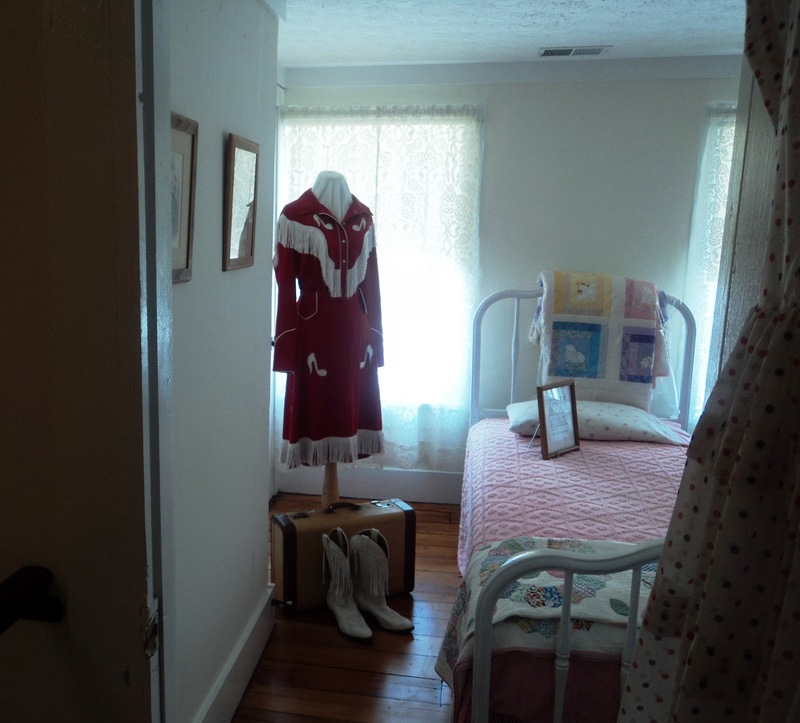 Fans of music legend Patsy Cline can tour her childhood home from April through October and architecture enthusiasts can download a handy self-guided walking tour of the area. 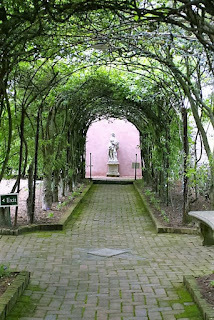 Those interested in the arts can visit a museum containing thousands of artifacts and history buffs can choose from any number of guided tours to learn more about the region. These are just a few suggestions on what to do and see when visiting the city. A handy self-guided walking tour titled, “250 years of History and Architecture” is available online here and will take you on a short walk to 29 different destinations from the Old Frederick County Courthouse, to George Washington’s Office Museum, which served as Washington’s headquarters during the French and Indian attacks. The final destination on the tour will take you to the historic George Washington Hotel built in 1924. Listed among the Historic Hotels of America, the George Washington Hotel is centrally located and convenient to area attractions. The tidy, five-story brick building was one of the first “fire-proof” hotels to be built in the United States and visited by many luminaries throughout the years, from Bob Hope to Lucille Ball and Betty Crocker, who hosted an apple pie baking contest there as part of the popular Shenandoah Apple Blossom Festival. In addition to providing comfortable accommodations, the hotel offers visitors a glimpse of historic artifacts displayed in glass cases throughout the property. 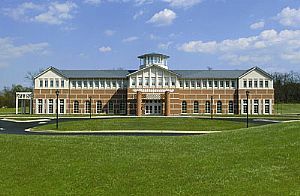 Other amenities include an onsite restaurant called Georges and live entertainment at the Half -Note Lounge. Guests of the hotel can relax in an impressive and luxurious Roman-style indoor pool located on the lower level. 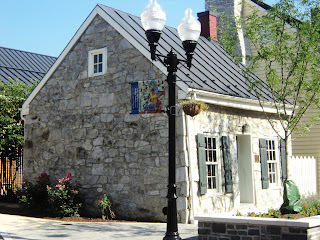 Not far from the George Washington Hotel is Loudoun Street, an outdoor "mall" where tourists can steps inside historic buildings like the Old Court House Civil War Museum and Miller’s Drug Store, known as the "oldest continuing family-run drug store" in America. Restaurants line the streets, giving visitors ample dining choices and during the warmer months customers gather outside at tables, shielded from the sun by over-sized umbrellas, where they enjoy eating, drinking and people watching. Shoppers and window shoppers alike will be pleased with the eclectic variety of shops, which offer an array of unique items. This year marks the 53rd anniversary of the untimely death of Virginia “Ginny” Patterson Hensley, otherwise known as legendary singer “Patsy Cline,” who met an untimely death at the young age of 30 due to an airplane crash. 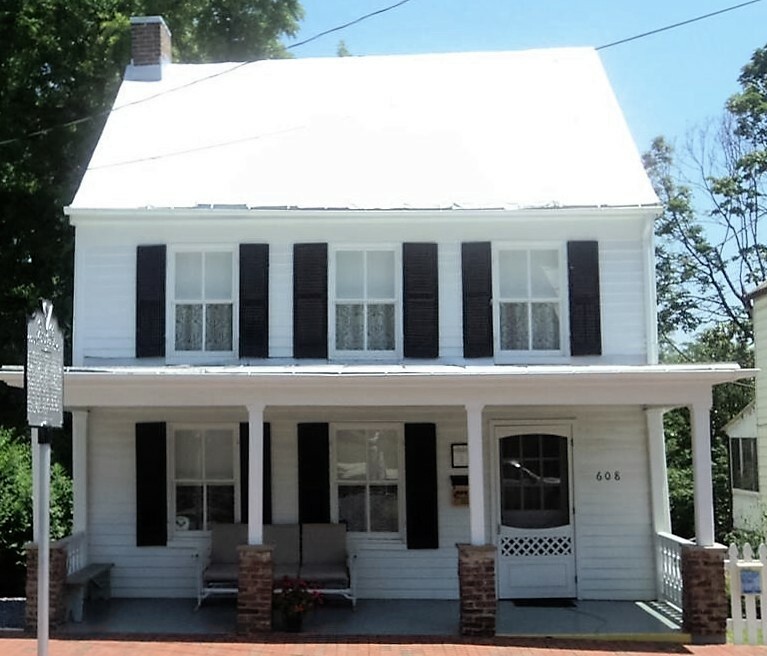 Her childhood home is tucked away on a small, residential street in Winchester and is open to visitors from April through October. 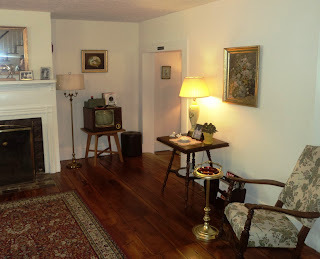 Located on the National Register of Historic places, the humble abode Cline shared with her mother from 1948-1957 appears how it would have looked when Patsy was growing up there and is furnished with personal items owned by the family. Relatives were consulted to help ensure the authenticity of the decor. 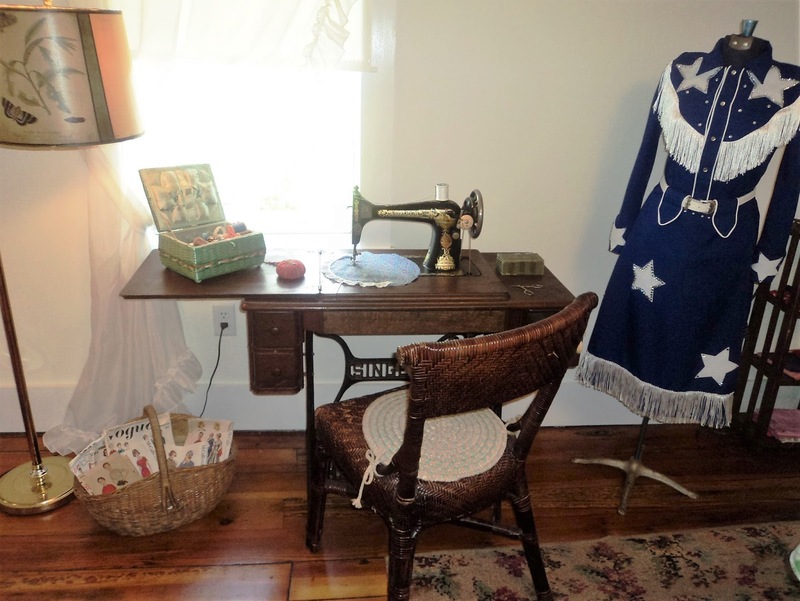 Guests can view the small living room where she practiced her music, the sewing area where her mother crafted her outfits, the kitchen nook where many a conversation likely took place and the bedrooms where they laid their heads to rest each night. 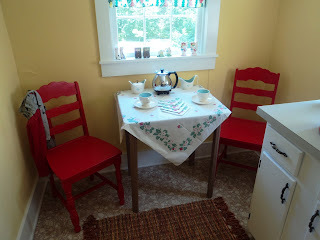 A bedroom in the Cline house. Volunteers Moe and Bill Hull will be happy to answer any questions you may have about the beloved singer and will even play you a clip of her first-ever professional appearance, circa 1957, where she sang “Walkin’ after Midnight,” on Arthur Godfrey’s Talent Scouts. A nook in the Cline kitchen provides a view to a large backyard. A sewing area where Patsy's mom made her outfits. The 45-minute tours are held from Tuesday through Sunday from April through October. To schedule a tour, click here. Gen. Thomas Jonathan Jackson’s headquarters sits back among other houses in a residential area along a tree-lined street. Those visiting during the warmer months will likely witness neighbors out and about doing landscaping work in the yards of their private homes. 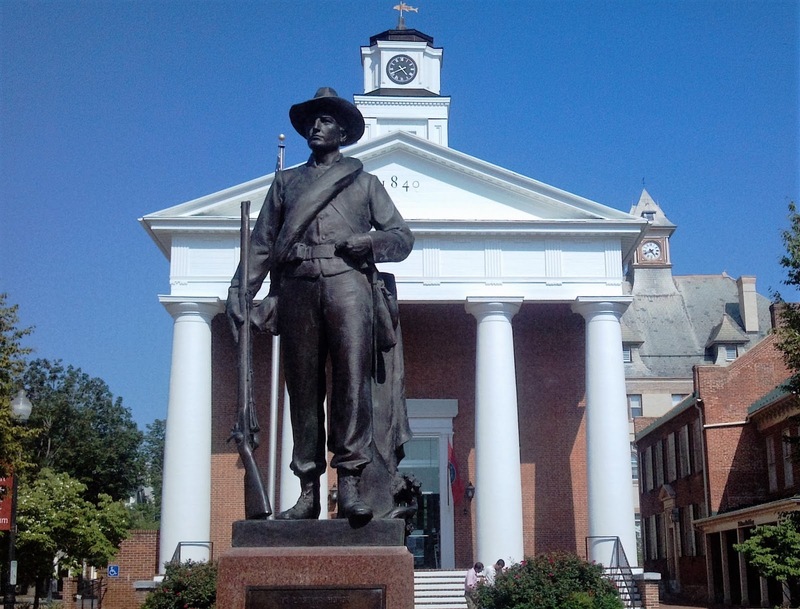 Jackson was known as a fearless soldier who arrived in Winchester in 1861 and set up headquarters at the Taylor Hotel, drawing so much attention that he was offered to use a vacant house on Braddock Street by Lt. Col. Lewis Moore, the great grandfather of actress Mary Tyler Moore. Today the house showcases much of the original furnishings purchased by Moore in the 1850's, along with personal and professional artifacts of Jackson, many of which were donated by Jackson’s granddaughter. On display are personal items like his prayer book, his prayer table, a lock of his hair, his death mask and pictures of Jackson’s family. Docents tell the story of “Stonewall” Jackson while leading visitors through the house and sharing excerpts from his logs. In one particularly interesting log entry, Jackson describes in detail the wallpaper he admired in the room where he worked. This original wallpaper was uncovered during a renovation and Mary Tyler Moore decided to replicate it as close to the original as possible so visitors can get a feel for what Jackson found so striking so many years ago. 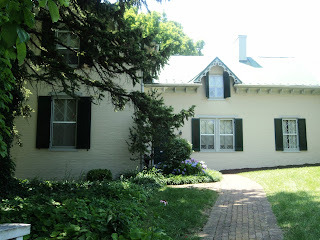 The house is open for tours from April 2 to October 31, seven days a week. For more information click here. Open Tuesday through Sunday, the Museum of the Shenandoah Valley provides a glimpse into the arts, history and culture of the region. Designed by internationally acclaimed architect Michael Graves, the museum showcases more than 11,000 pieces, which make up the permanent collection and includes baskets, ceramics, textiles, furniture and more. Many of the objects can be viewed by online by clicking on this link. The Glen Burnie House located on the grounds dates back to the 18th century and is listed on the National Register of Historic Places. 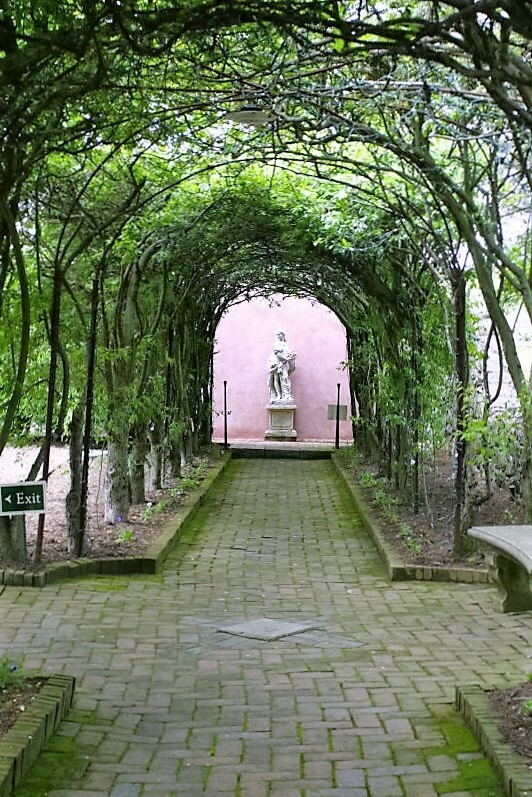 Those who visit during the warmer months can tour six acres of gardens that are open from April through October. Now that the weather is improving, it's a great time of year to visit the region. Please keep in mind some attractions are closed on Mondays, so be sure to visit the individual websites before making final plans.